Has your company decided to take the plunge and get involved in industry trade shows or exhibitions? Welcome to the wonderful world of commercial moving logistics. Some people think that the most complicated part about preparing to exhibit at a convention or conference is figuring out what to present, how to present it and what type of SWAG to give away to attendees. While all of that is important, one of the most difficult parts about participating in a trade show is moving your expo booth from your company’s warehouse to the show room floor. Trade show moving services in Massachusetts can help you with local, interstate and even international moves from the Cape. 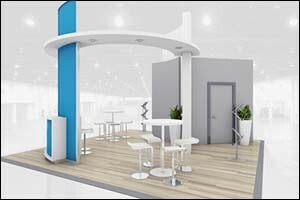 Many industry trade shows are now global, causing American companies to figure out how to get their expo booth and promotional items overseas in time to present them to attendees. Packing supplies and services like these can be important because they are used to protect assets during transportation and delivery. Working with companies that specialize in commercial moving logistics, in particular trade show services, can really give you the edge you need to stay competitive. So you’ve made the commitment to exhibit at your first show. Now the planning can begin. Trade show moving services in MA will work with you closely to make sure that your booth, promotional items and other assets made it to the convention center at the appointed time. You can take advantage of our many years of experience working in this industry, as well as our knowledge of the ins and outs of conference center rules and regulations regarding delivery, loading, and unpacking. The sooner you can start putting your plans in advance for commercial moving logistics and scheduling at the venue, the more cost-effective it will be. In fact, many on-site services at convention centers can cost as much as a third more 30-days or less to the show date than they would if you schedule them months in advance. What Needs to Be Shipped? Work with your trade show moving services in Massachusetts to help you plan your local, interstate and international moves from the Cape and South Coast region. Figure out what you need to ship so you can go over the costs and planning for crating and loading your items to make sure they arrive at the location on time. Your moving coordinator at Plymouth Rock Moving & Storage can help you work directly with Mayflower Transit, Inc. and UniGroup Logistics to strategically plot out your move. booth furniture, including chairs, couches, tables, mini-fridge, etc. The most important thing to remember is that there are subtle differences at each convention center, whether you are right here in New England, across the country in California, or across the ocean in Europe. The rules and regulations at each venue will determine how your things are handled and moved to the convention floor. This is why you need to rely on the professional services of experienced commercial moving logistics to take care of all these details for you. If you are interested in learning more about our commercial moving logistics services, packing supplies and services, international moves from the Cape, and other trade show moving services in MA, give us a call at 1-800-340-0995. We have a dedicated trade show fleet of top quality moving vehicles, climate controlled vans, 24-hour shipment tracking system, lift gate equipment for easier loading and unloading, as well as custom crating for over-sized or odd-shaped items. Call today and start planning your trade show moving plans with confidence!